Azalead is a young, dynamic, and international company changing the world of B2B marketing. 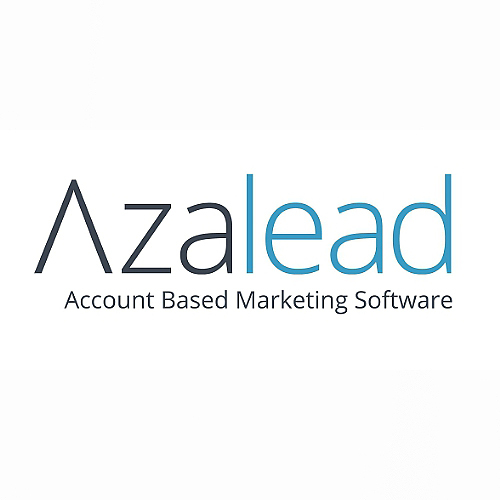 Azalead was founded in 2013 as the result of a growing interest in Account Based Marketing (ABM). The founders used their extensive marketing and software experience to create a vision for a modern ABM platform that gives clients the opportunity to win more target accounts faster. Azalead's Account Based Marketing for Dynamics platform enables B2B marketers to sense buying signals and engage target accounts through account based website personalization and advertising. Sales reps get sales intelligence on their target accounts so they can close deals faster. Azalead is powered by patent pending account sensing technology and integrates with complementary sales and marketing software, including MS Dynamics CRM, Marketo, Pardot, ClickDimensions, HubSpot and Oracle Eloqua.